Join Halton Hills Concert Band, Georgetown Choral Society and Gaudeamus Children’s Choir for a magical, musical evening! No experience necessary. All ages welcome. Friday, September 28, 7pm to 9:30pm. Play with Us! 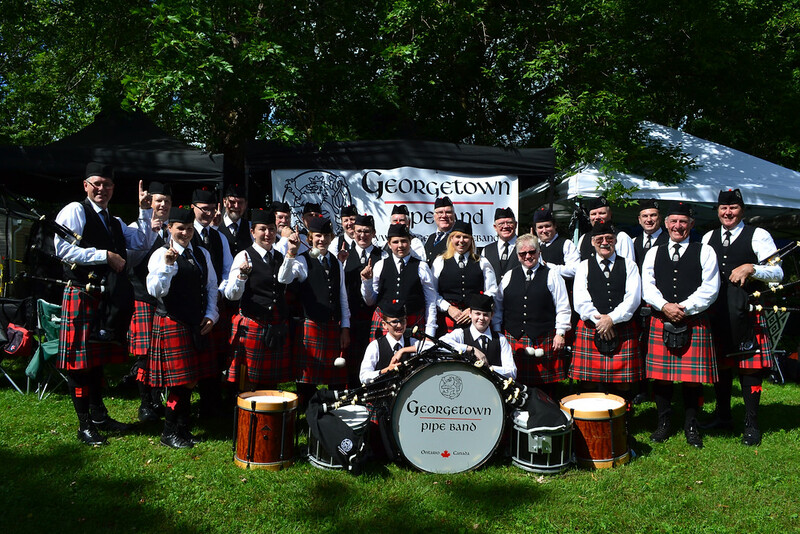 – Try out the instrument petting zoo held by the Georgetown Concert Band and have a chance to play with the Band during the finale! Conduct Us! – Learn basic conducting skills and have a chance to conduct the Georgetown Concert Band. Sing with Us! – Receive your lyric sheet and let the Georgetown Choral Society teach you the arrangement. Grand Finale – The audience joins the Choral Society, Gaudeamus Choir, and the Concert Band in performing a joint arrangement! Here is your chance to try out piping and drumming, learn how the instruments work, and find out if you would like to join the band for lessons. All ages are welcome. Unfortunately if it is raining the “Hands on” sessions will not occur, but the pipe band will still be performing from 10:20 until approximately 11:00. Please follow us as we march and play along Main Street to Church Street, then listen to the performance outside of the Cultural Centre and Library. We will be performing songs about Georgetown’s history, written by Neil Cotton, with co-writes by others, principally Sean Cotton. Audiences will be encouraged to sing along with the chorus of each song.